Advent has begun. While most in the family are older and ready for deeper study and discussion, there is a little one who isn’t. I am so thankful for the arrival of this activity from Book Look Bloggers. It is just right for simple moments at the table or on the floor, reading and introducing the true joy of Christmas. 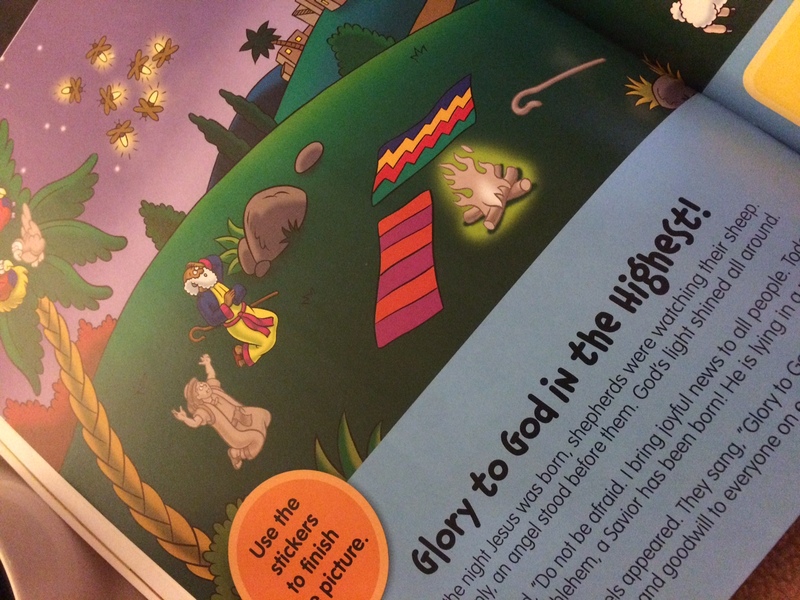 This activity book has colorful Beginner Bible illustrations, with objects and people faded where stickers can be placed. 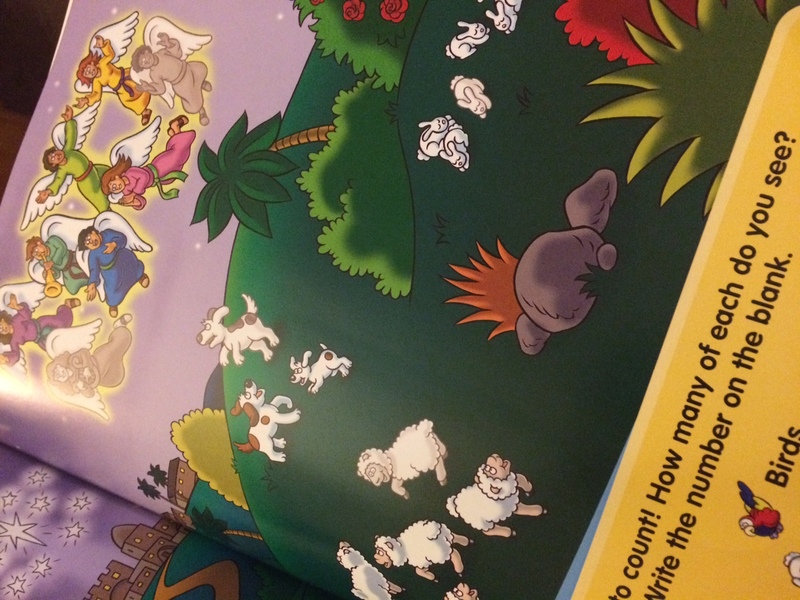 There are seek and find activities as well as mazes, word searches and counting opportunities. I will enjoy having this colorful, simple activity to do as I introduce little ones in my life to the true Gift of Christmas. 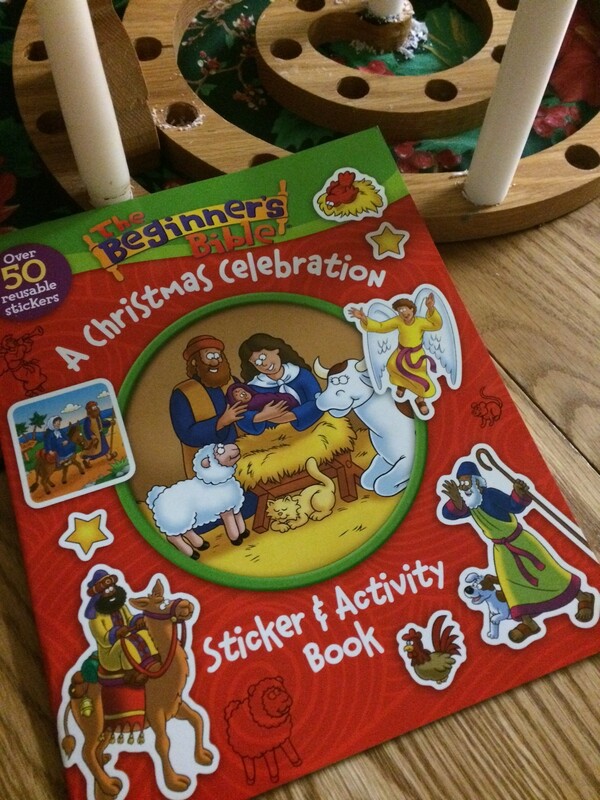 The Christmas story comes to life through age-appropriate puzzles, activity pages, and 50 reusable stickers in this friendly and fun sticker and activity Book featuring The Beginner’s Bible classic art and simply written content. I received a copy of this book free, in exchange for this review. This blog and this post contain affiliate links. When you make a purchase through the links, I am paid a small amount by the advertiser. Thank you for your support.